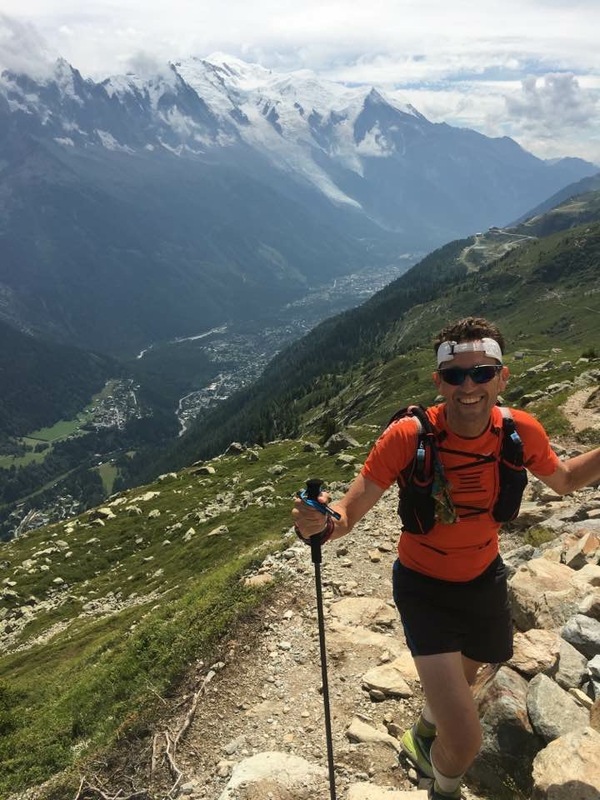 Firstly, thanks to Adam Connor for hosting this UTMB blog on his running+music website. It might mean someone actually reads it! Adam describes himself as forty something, which I can’t do any longer, and has just run the 135 mile Badwater race across Death Valley, so my UTMB efforts pale in comparison. Its exactly a week since I crossed the finish line of the 100 mile UTMB race in 42 hours 13 mins to complete a burning goal that had been sizzling for 3 years. Why write this? 3. To unload some emotions that built up for a while and are still rumbling around. This race crept up on me via one of my Sydney running friends, Tanya Carroll. Tanya was training for this race in 2015 when I was training for the 100km UTA in the Blue Mountains. I didn’t know much about UTMB at the time but I, along with many others, followed her training and finally the race itself via the online updates and video. She had photos with Kilian Jornet, pictures of really high mountains, glaciers, cable cars, the best runners from all over the world, it went on and on. Once I read more about it, I wanted to know more. How do you get into this race.? Could I do it? Probably not was my thinking at the time. Let’s just stick to the Blue Mountains. For the uninitiated, UTMB requires the equivalent of 3 qualification races of over 100km to be completed by an entrant within 2 years. Each race needs to be under a certain cut-off time. With the points from the races under your belt, you apply in Dec, find out if you are successful in the ballot in Jan and if lucky, you get to race in August. Most miss out in their initial entry. 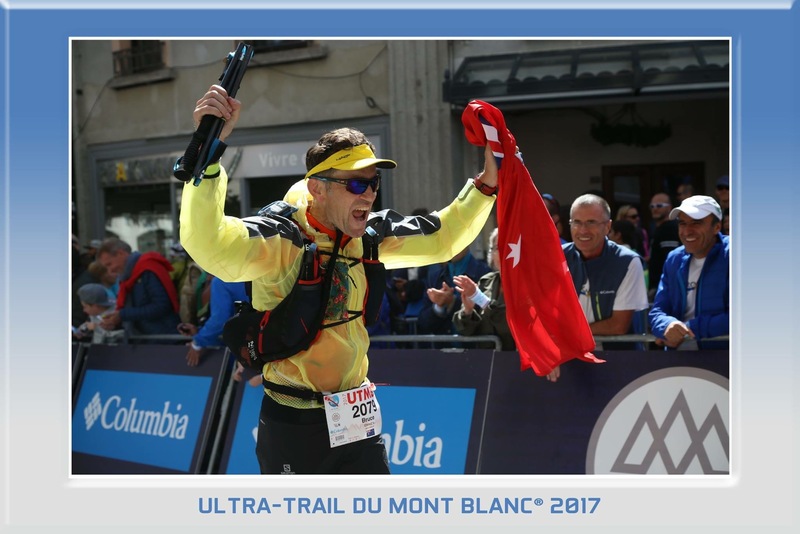 UTMB (Ultra Trail Mont Blanc) itself probably doesn’t need any introduction – 100 miles through 3 countries (France, Italy and Switzerland and back to France) with 10,000 metres of ascent and because we start and finish in Chamonix, there is also 10,000 metres of descent. My qualifiers were UTA 2014 (100km), UTA 2015 (100km) and then a 113km race I did in Italy in Sep15. This was called Morenic Trail in the foothills of the Italian alps just north of Turin. I had planned on running GNW (a local qualifying race north of Sydney) and I had trained with my running colleagues on the GNW course. However, a sailing holiday meant I couldn’t do the race and the cut-off time for UTMB entries was approaching. Thus I found the Italian race which I could tack on to the end of my Greek sailing holiday. The 10 days on the boat were during my taper and involved a lot of drinking. Evidently that didn’t hurt my race and perhaps the enforced rest helped. I was one of 2 english speakers in the race so they held a separate race briefing for the 2 of us. Totally weird. And at the finish line you douse yourself in red paint (a tradition). See below. Anyway, I had my qualifiers and the bunch of us NRG’ers in Sydney entered UTMB as a group (we would either all miss out or all get in – together). As is the case for many people around the world, we missed out for the 2016 intake. They take 2,500 people into the race each year but many multiples of this number apply (all with appropriate qualifiers). So, having missed out, this meant one of my races in 2014 was no longer current and I had to re-qualify via UTA 2016 (another 100km). And to make things even more interesting, I moved with work across to London in Sep 16 2016. I know I haven’t got to the race yet but bear with me. Just getting to the start line of UTMB is a massive effort in itself. We then re-applied as a group in Dec 16 and this time we were successful. Yessssss! Finally! Gulp! What now? 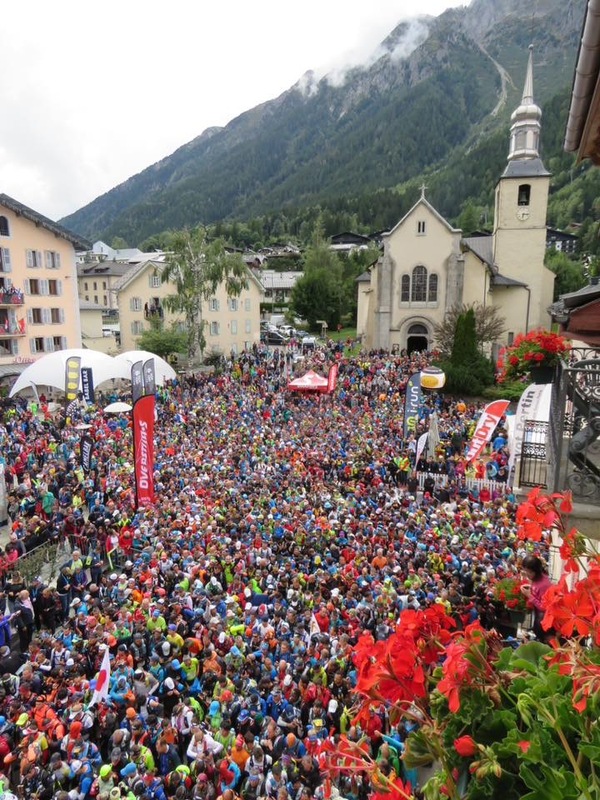 (By the way, I think this is the largest group entry ever into UTMB from anywhere in the world). Not only did we have our initial group but other Sydney running friends who were successful on entry joined our group chat and the size of our Aussie contingent grew. London is what you might call a flat track. How on earth was I going to get fit for the alps? Also, stupidly, in December I had been training for the London marathon and doing some intervals on cold legs which lead to straining a hamstring (first time ever). I should never have been surprised about hamstring problems because I only have about ¾ of each hamstring intact. Two ACL knee reconstructions many years ago used both hamstrings for the new knee tendon leaving me with depleted hammies. It was a low point after the excitement of getting an entry and I wondered if I could even start any proper training. Perhaps I would have to pull out of UTMB already? I used the down time to attend a day-long seminar in February that a running company called XNRG ran just outside London. Probably 30 people attended from the UK, all of whom were either entered into, or thinking about entering UTMB. A group of pro runners gave talks about how to train, gear recommendations, the course itself, strategy, etc etc. It was great for a lot of us newbies. And it was during these talks that I realised I needed a coach if I was going to be serious about preparing. I met Robbie Britton (appropriate surname) who is one of the top British ultra marathoners and Robbie recommended an Australian mate of his who could coach me – Majell Backhausen. 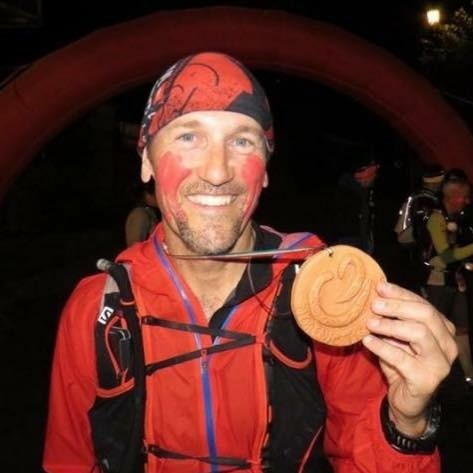 Majell is a world class mountain runner, had completed UTMB in 2015 in just over 25 hours and 22nd place, and knew the problems of training in a flat landscape. Majell lived in Melbourne but our discussions and training interaction were all online from that point onwards. I used a trip back to Australia in April for a wedding to meet up with Majell for a face to face chat as well. And so it began. The hamstring was healing up very slowly and I was able to begin some slow running in March/April. The London marathon came and went. I knew I had to complete it given my charity sponsorship and although I finished, it was a lot of slow jogging and walking in just under 5 hours. So now it was late April and Majell had been adjusting my training to take into account my hamstring recovery. It meant a lot of hiking uphill on the treadmill, spin classes, a lot of gym work but not much pure running. By May my leg was better for running and the program picked up. I was training a couple of times a day before work, lunch time or evening. I was riding to work and weekends were spent outside London if possible wherever I could find hills. The last half of June involved sailing for 2 weeks in Croatia but I made sure I ran for a couple of hours every morning before sailing and began clocking up some serious metres of ascent and descent. It had now reached July and the race was getting seriously close. I managed to get a weekend to the Peak District and Catherine was hiking whilst I ran into the mountains. Lots of km and metres of ascent and descent on muddy single track which was ideal. 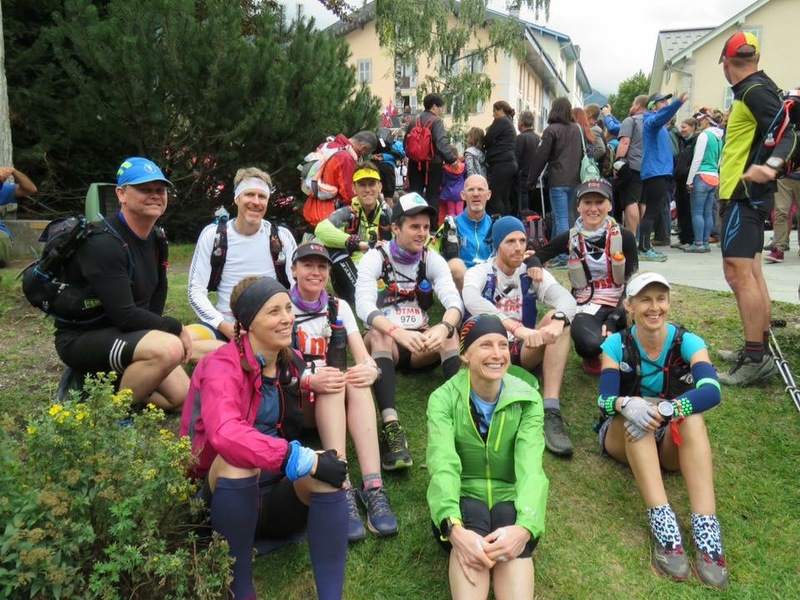 In one of my best decisions, a few months earlier I had booked an organised trip to run around the UTMB course over 4 days with a French group. A couple of pro runners took a group of 12 of us around the trails and we slept each night in refuges in a single room with 12 bunks. They were all French, including the pro runners, apart from Elaine who was from London, so the 2 of us would need translation of whatever was being communicated on the trail. But we all got on very well and would re-group often to allow for different pace groups. So approx. 40-50km of running each day with 2500 metres of ascent and descent daily. Not only did I get to pound the legs for 4 continuous days (something I hadn’t done before), but importantly, I got to see the whole course in daylight. Before that I had no idea what to expect from climbing a true alpine mountain. Now I knew it was seriously hard but I found I wasn’t scared of it any more. I knew I could do it. However, (and this must be the old age), when I woke up on the 4th day, my achilles was quite sore. Not enough to stop me completing day.4, but it meant I couldn’t push off the left leg as much. Thus running on the flats was harder than climbing a steep gradient that used the quads more. Hopefully this niggle would go away! Upon returning to London, I went to Wales with Catherine the next weekend and she did more hiking whilst I hobbled and propped my way around Pen-Y-Fan mountain. I found I could climb mountains really well and run downhill without inflaming the achilles, but running on the flats was out. A few more weeks back in London was spent going to the physio to try and fix the achilles, doing spin, strengthening gym work and lots of work on the treadmill without inflaming the damn achilles. Could I just buy a new achilles? Could I really get to this race? By race week it had calmed down and I was hoping it would hold up over the race if I didn’t push it too much. It was now race week and the Aussies were gathering in Chamonix early on to try and get over the jet lag. My 90 min flight from London meant an easy commute and I arrived on the Wed night. My wife Catherine and 3 of her friends had been hiking the Mont Blanc route (TMB) over 10 previous days and Cath and Danae (who were to be my crew) met me at the hotel that night. 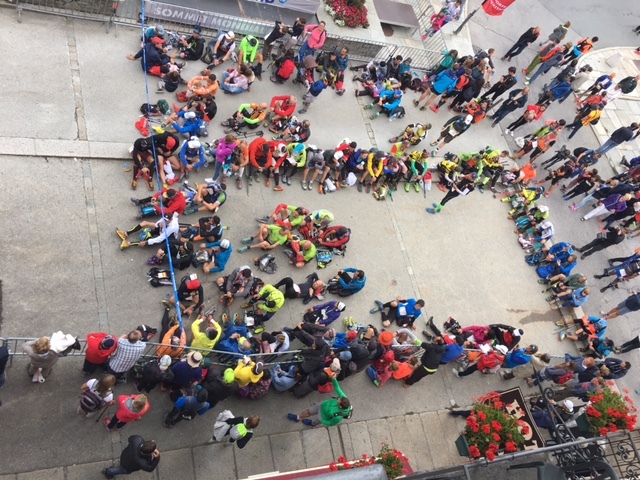 Without realising, we had booked a room overlooking the start and finish line of UTMB which turned out to be both a blessing (views, photos, atmosphere) and a curse (noise of loudspeakers and music day and night given some other shorter distance races were occurring on Wed and Thurs nights). I had mentioned in a post on Fbook that I was both excited and nervous. The nervousness was really unavoidable given the huge build up to this race but also because I had never run further than 113km and had only run through one night. So I hadn’t done a “miler” (100 mile race). Here I was about to embark on 170km over 2 nights and 2 days. I knew the course in the daylight, but how would I go at night? Would my achilles hold up? What about food and nutrition? I had read so many blogs of people not coping with stomach problems, the cold, tiredness, injuries – the list went on. People who came to the race, climbed the first mountain and decided there was no way they could get through! To top it off, the course organisers announced that the weather was going to be a problem this year and some course adjustments were needed given that it was forecast to be minus 9c in the high passes. Wow. This also meant cut-off times at checkpoints were changing and my race plan needed some adjustments. Yes – I did have a plan which was based on the averages of some friends who had run before and runners from last year who finished around the 44 hour mark. The race cut-off is 46.5 hours but along the way, each of the checkpoints has its own specific cut-off and race organisers will allow no discussion on removing a runner who doesn’t make it in time. Each year approx. 1/3 of the runners who start do not finish, some from injuries, but many who just can’t get through the checkpoints in time. Friday was race day but strangely the race was not going to start until 6.30pm. I had always started races first thing in the morning. What to do all day? What to eat? How to rest? As my hotel was right above the start line, I could see runners beginning to position themselves at the start line – 5 hours before the race!! What on earth? They were sitting on hard concrete in their race gear ready to go. I have no idea if they finished the race but this preparation was not going to help them! I had spent time on Thursday catching up with all my Sydney running mates, getting my compulsory gear checked, shopping at the UTMB expo (every running company around the world had a stall there which was fantastic), and just taking in the atmosphere. Other races such as OCC, CCC and TDS were taking place and some of our running colleagues from Australia were taking part. So there was always something going on to occupy time. And meanwhile you watched the weather and could tell it was deteriorating after having been so nice for weeks. Typical. My race gear had been adapted over months. Lots of testing of different gear and changing what needed to be changed. I had moved to Altra shoes to allow more room for my feet which was a great decision and meant my feet and toes were not getting bashed up as much. I had trained extensively with poles in the mountains and each time I ran outside London, I would take exactly what I planned taking on race day with all gear and nutrition. This meant quite a bit of weight. Not sure the exact tonnage but it certainly felt like tonnes rather than kilograms. Majell’s training program had also prepared me for the climbs. In fact I was looking forward to the ascents. I don’t want to give away his trade secrets but the use of the treadmill for hours and hours at slow speeds but high gradients was all part of it. Friday 6pm and I finally came downstairs from the hotel. The place was absolutely packed already. All the Aussies met just near the church and we had a few last photos before merging into the masses for the countdown. The music, the slow capping, the atmosphere …. this was why we had spent years getting here. It is absolutely unbelievable. There is a photo of me at the start and I look quite calm. And I was. I had played out in my mind each of the race sections and I knew how I wanted to approach them. I had worked through with Cath and Danae what I needed in each checkpoint and they were all primed for the nights and days ahead. 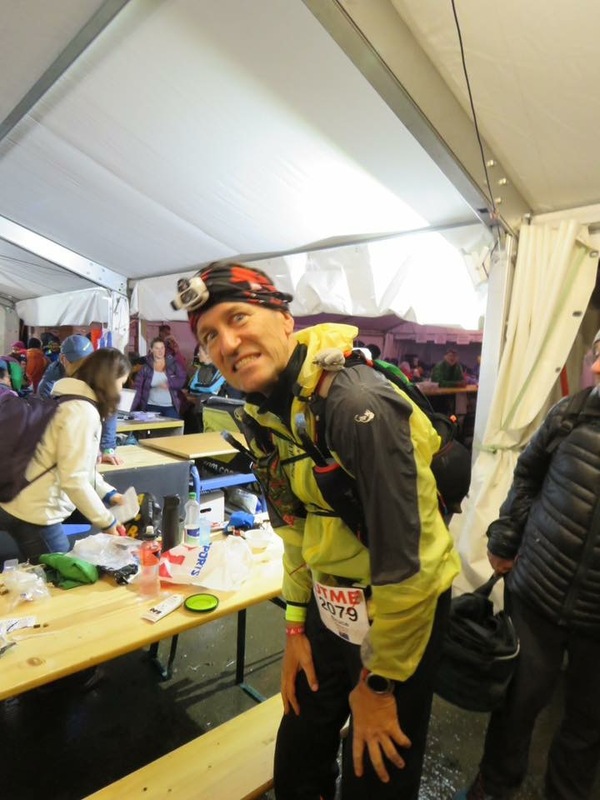 The one section I was apprehensive about was the first 8km to Les Houches as it was flat and required a fast running pace – something that I hadn’t been able to do for weeks. The mass start and our position near the back meant it took a while to get over the start line, and then we were walking/half jogging for a couple of kilometres, lapping up the cheers and hand slaps from the crowd on the way out of Chamonix. I was running along with Tanya, Emma, Russell and Geoff at this stage and then we caught up to Jen and Marty who had started a bit further ahead in the crowd. I couldn’t think of a better place to share the trails with my friends from Australia and we all had Aussie flags, boxing kangaroos and koalas to show off our Aussie roots. And as the pace picked up and the runners spread out, I was quietly hoping the achilles would stay quiet. The slowish start was not a problem – one of the biggest errors is to go out too hard in this race. It really doesn’t get going until after Courmayeur (80km) and some say not until Champex-Lac (126km). I had expected the congestion of runners to ease off by the time we started climbing from Les Houches, up to Le Delevret (900m) and back down to Saint Gervais where the first checkpoint is. But it didn’t. It was packed and at times you came to a complete stop in single file. Darkness arrived and still we were stopping and starting as the crowd ebbed and flowed through difficult parts of the trail. I couldn’t believe it really. How long is this going to go on for? But inwardly I thought perhaps this is a good thing. Enforced rest. Just go with the flow. And I used the time to sip on my Tailwind nutrition and relax. Geoff and Russell had moved off ahead and Emma was nearby whilst Tanya, Jen and Marty had fallen behind. Tanya came past at one point as she loves the downhills and the race started to play out as we went through a minor checkpoint in Saint Gervais (21km). This was a fast stop – fill up water but keep going – no crew allowed. Exiting the checkpoint, it was still early and runners were everywhere and a slow jog was the order of the day. 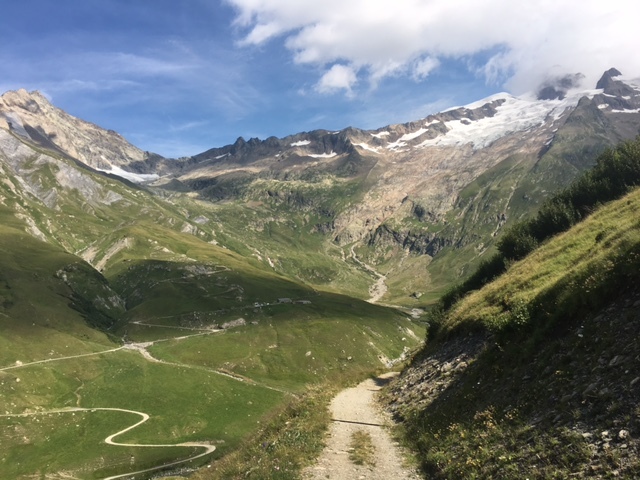 There are some rolling hills and a gradual incline towards the first major checkpoint at Les Contamines, and it was in this section that I could feel my achilles calling. Bugger. It had behaved so far but this section was the worst gradient for it requiring a slow uphill jog, pretty much designed to inflame an achilles. In the space of 5 minutes I went from feeling comfortable and relaxed and focused, to thinking, I don’t think I can get through another 145km with an achilles that is starting to hurt. So I slowed down again and did some run/walk for a bit. And I then started working out how I would tell my friends and family that 3 years of hard work had only allowed me to get through 25km of the race. Swear words here *&#$%%*. Thus it was that I entered the major checkpoint at Les Contamines (31km) to meet my crew. It was great seeing Cath and Danae but they could tell something was wrong. Explaining that my achilles was playing up, we had a quick chat and Catherine whipped out 2 panadol. We decided that I would just keep going and see what happened. I topped up my nutrition and took the chance to munch on salami, cheese and drink some soup. My pre-race coaching advice had been to always grab food whenever it is on offer, and thus I ate more than I would have in any prior races. Heading out of Les Contamines, there is a massive long climb for 1300 metres over 13km. It was still crazy with congestion and we were in a long single file, unable to pass people and stuck at whatever pace the slowest runner was going. It was extremely muddy, slippery and steep and I loved it. The pace was slow which gave me time for the Panadol to kick in, the climbing suited me and I was using my quads mostly which gave the achilles a rest. After a while I didn’t notice the achilles and as the crowds around me thinned out, I was passing people. We went through a minor checkpoint at La Balme and once again, I ate and drank soup and soon I was ploughing downhill through the mud and heading towards Les Chapieux (50km). I felt good. I was still passing people and at the checkpoint I once again topped up food and soup. I didn’t have crew here as it was very difficult to get to. I knew from here it was a long slow climb to one of the high passes in the race but it was a section that I loved in training and I was looking forward to it (can you believe that?). It was also in this checkpoint at Les Chapieux that I noticed a huge number of people just sitting and staying warm in the tent. I stood shoulder to shoulder with other runners and then sat for 2 minutes to finish my soup and then I exited. Most people who were in there when I arrived were still there when I left. I had eaten, topped up drinks, topped up nutrition in my bladder, had some soup. What else did I need to do? Nothing. Get going. Why sit around? The mass of humanity in that tent also reminded me that what we experience in the checkpoints is a lot different than the leading runners who have a table each with all their gear laid out and everything provided. We were shoulder to shoulder like standing room at a footy match. On the section to Col de la Seigne, it was another 1,000 metre climb. You get used to them. That is the typical ascent for each of the climbs. It was early hours of Saturday morning and I knew dawn would arrive somewhere along this section. It was beautiful. Looking ahead towards the Col, you could see the long line of lights on the switch backs and I was once again passing a lot of people. I wasn’t tired and my achilles was not bothering me and I felt like I was flying up that hill. Dawn arrived just before I reached the Col so I got the silhouette of the top of the mountains as I looked east. Fantastic. Worth racing just for this. However the clouds soon arrived and as I reached the top of the Col, it was suddenly snowing. Not too cold as it was light snow but I still put on the warm gear and I prepared for a long descent to Lac Combal. I have a photo below from my training run that shows this section in daylight. It is amazing and such a pity that so many runners never get to see it. Once again I flew down from the Col here as the knees were ok (at this stage). Runners were becoming more and more sparse as I went on (perhaps they were all still back in that tent!) and I would see a runner ahead and try and pick them off as I descended to Lac Combal (67km). I topped up food, drinks, nutrition here, sat for a few minutes to have some soup and then got out of there – once again no crew here. I was well ahead now of the cut-off time and that gave me quite a bit of confidence. I haven’t mentioned any of the other Aussies and that is because I hadn’t seen them since before checkpoint 1. I assumed they were ahead of me and hoped they were all going well. It was fully light now and heating up as I went up another climb via Arete du Mont Favre and Col Checroutt Maison Vielle (75km). I had pasta at one of these checkpoints and filled up on drinks etc . And as it was very runnable on the descents, I pushed along quite quickly (for me). Still passing people and still feeling good. Courmayeur (80km) approached where I would meet my crew and I had a lot of time up my sleave in terms of cutoff times. Courmayeur was mid morning and it was warm outside when I went in. I didn’t linger here either. Grabbed food, changed clothes, topped up nutrition, re-applied Gurney Goo, but basically got out of there. 22 minutes I think I was there. Still time to do everything. But it was here also that I noticed hundreds of people sitting around. I think I went in and out before half of them had moved. Farewelling my crew I knew the next sections would be tough, partly because I wouldn’t see my crew for nearly 12 hours, and partly because I could see the weather was getting worse. The climb up to Refuge Bertone (800metres) was fine and I had enjoyed it in training. However the section through the rolling ups and downs along the bluff to Refuge Bonatti (92km) was hard. I didn’t quite have the strength to attack it like I did in the training run but I kept up a steady slowish pace. Noone else seemed to be going any quicker so that gave me some comfort. The temperature seemed to be dropping and at the checkpoint, it once again started snowing. This was a concern. We were at 2,025 metres and I knew we had to climb over Grand Col Ferret at over 2,500 metres. I saw a lot of worried faces at that checkpoint. It was an outside checkpoint so no one was hanging around in the cold, but everyone was taking time to get every piece of emergency clothing on. It took me 10 minutes to sort all that out whilst trying to eat and drink at the same time. The downhill section to Arnouvaz (97km) was hugely challenging as it was extremely muddy with no footholds. It was like skiing downhill on a steep single trail and hoping you stayed upright. The tent at Arnouvaz was warm and I could tell no one really wanted to exit. I knew it was a trap to stay in there. Walking outside was uncomfortable and we were at 1700 metres with an 800m climb to come. Visibility was not good and the rain and sleet were coming directly into your face. It was mid afternoon but quite dark. I knew it was a long way until I saw crew again and I think for many people, there was a huge temptation to exit the race at this point. In fact, part of my mind was wondering how bad it could get before race organisers would shut it down. And strangely this pushed me on, because I knew if I could get over this pass, then the other side was less exposed to the weather. The climb was very tough. Once again, this was a climb in training that I powered up, but not today. It was pretty slow and a real slog. Not many runners about and as you climbed higher, you were more and more exposed to what became a blizzard. There was no way to protect your face as the the wind was head-on, and all the ground and bushes about you were frozen with sleet. I didn’t have time to take photos but I wish I did. And as I came towards the top, I saw a race organiser in a massive parka coming out of the murk yelling “Allez Allez Allez”. Why is he shouting to hurry up? I honestly thought he was hurrying me up because they were about to shut it down. If you got over the top your race would go on and if you didn’t, they might bus you back from the previous checkpoint – race over. So I found a third wind and pushed hard over the top. It was quite frightening up there – dark, blowing a gale, sleet in the face, and I thought if you stopped up here for too long you would freeze very quickly. It was definitely minus 9c here. Quite brave for the organisers to let us go through it I thought. Over the top and huge relief. Long downhill runnable sections now towards La Fouly (111km) and thankfully out of the wind. But a long way until the checkpoint. Too long I thought! They needed another checkpoint somewhere in-between and in training there was a Refuge (La Peule) along the way. But it was closed. Damn. Most people were pretty cold and pretty stuffed along here. In training it was a fast section but not today. Late afternoon and you knew another night beckoned. Another low point for me and I imagine others too. At La Fouly, I went in alone as I had arranged for my crew to meet me at Champex Lac (126km). At La Fouly you could see a lot of people who just needed to recover. So no one was leaving. I grabbed food, drank soup and didn’t stay long. I was warm enough and I wanted to get to Champex Lac (another 14km). We had to leave with lights on our heads as darkness was approaching. A lot of runnable sections again if your legs and knees were up to it. I probably lost a few places along here but I knew I’d made up a lot with people who were still in the warm tent at La Fouly. Just to help things it was bucketing rain for the next 10km and it was a tough climb to Champex Lac. I neither gained nor lost places along here but as I moved along, I was forming a plan to take a 20 min nap at the next checkpoint. People were sleeping along the trail as I went (in rain??) and I thought I would far rather get a mattress in a warm tent. I also knew my crew could wake me if needed. 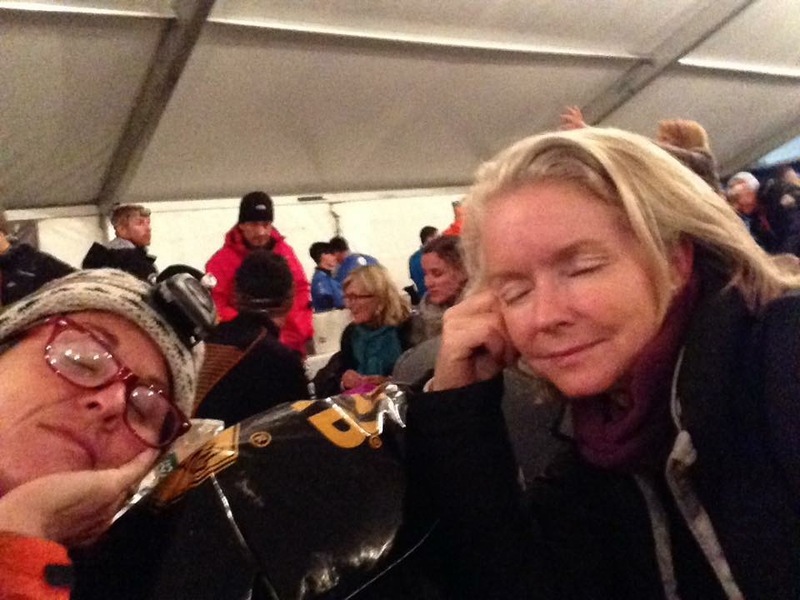 Seeing Cath and Danae at Champex Lac was fantastic and they were excited to see me to break their boredom. First thing I said was that I’m going for a nap. Another 20 mins of boredom for them! As I lay down and pulled a blanket over my head, I heard an Aussie accent 2 mattresses along! Hahahha. It was Emma just getting up from a nap. And there was Russell standing in front of me! They were heading out and asked if I wanted to join them. I told them to go ahead as I need to rest and eat. How fantastic to see them and as I lay there, I thought quite strange that I had run into them as I had assumed they were miles ahead. I didn’t sleep at all as my legs were too sore, but getting off my feet was good. Suitably fed and with nutrition topped up, I went out into the 2nd night again somewhere around 11.30pm. Probably 40 mins after I had seen Emma and Russell. The next section has a nice runnable downhill leg before a steep and difficult climb up 1,000 metres and back down the same metres again to Trient. It was tough in training and it was going to be tough on the 2nd night. The rain had stopped but it was muddy and the trail was covered with loose rocks and tree roots. I climbed well again and soon I had caught up to a group of runners (runners were very sparse on the course now). And there was that Aussie accent again. Emma and Russell and a group of others. I said hi but didn’t hang around as I was moving along well and so passed the group on the downhill section. Trient (142km) and Vallorcine (153km) checkpoints came and went. I met Cath and Danae at both. Constantly fuelling up and feeling pretty confident. More climbs, less runners, and kilometres and ascents/descents ticking by. The light came up in the next section and I knew I was headed to a good time. I had trained on the high Col des Montets section of the race and I loved it. However the organisers had cut it out for safety and introduced similar ascent/descent and distance but all at lower altitude. As I’ve read from some of the leading runners, most people think the new section introduced was harder than the original. And I agree. It was very technical and on tired legs, very difficult to traverse. It did feel like we were getting no closer to the finish in what seemed like a maze of ups and downs and back and forths. It wasn’t until I made it to La Flegere (163km) that I was back on familiar ground again. And then I knew the last downhill 8km section would be very hard on my knees. But I thought stuff it, they can recover later, and I ran as hard as I could. It started to heat up (temperature and emotions) as I headed down into Chamonix and it was only just before midday. Originally I was very worried about final cut-off times (around 4.30pm) but these fears proved unfounded. So I was very tired, very sore but floating really. So happy. Emerging from the forest in Chamonix was amazing. Crowds were building along the course as I was lucky to be finishing at a peak time in the day. Some of my faster friends were finishing in the early hours of the morning with obviously less supporters. I ran as hard as I could through the town and saw Catherine and Danae, grabbed a flag and then turned the corner into the main straight and finish line. Without knowing it Marty was running behind me taking a video which is great to look back on. An absolute emotional high going through Chamonix and a feeling I will never forget. And a time just over 42 hours that I’m very proud of. I was especially proud to gain places through the whole race going from over 2,000th to 1040th at the end. This fit with my race plan. I can say that once over the finish line the achilles decided enough was enough and it remains sore a week later. But who cares! Nearly all my Aussie running buddies made it and those who didn’t will be back for more I think. So many thanks to Catherine and Danae for crewing and to Cath for putting up with months (years!) of preparation. My coach (Majell) deserves a special mention because my training was very specific for this race and it proved to be invaluable. Gear / nutrition / suggestions? Perhaps wear a wind proof top and a rain jacket over the top with a medium mid layer warm top. Gives more flexibility on layering than one warm top and one jacket. Good luck. It’s worth it. What a blast!